TL; DR: In a market dominated by dedicated, shared, and virtual private servers, Dynamic Edge from dhosting.com offers a fresh alternative. The product’s autoscaling option allows users to dynamically manage resource parameters without the need for complex and costly migrations or upgrades. It also helps site administrators meet performance demands without getting bogged down in technical issues. When scaling beyond dhosting.com’s basic Dynamic Edge package, users pay only for the resources used, and they can configure custom usage limitations to help them stay within their budgets. As anyone who deals with web hosting can tell you, spikes in traffic are a sought-after goal but can also present a substantial problem. Additional traffic can force a site to migrate to a virtual private server (VPS) or to a dedicated server capable of handling that traffic. That scenario can incur additional expenses for the company, which may go to waste if the additional resources aren’t fully used. Beyond this, hosts can also impose database, email, and script restrictions, all of which can get in the way of business, increase costs, and cause headaches. Entrepreneurs can find autoscaling solutions that fit into their budgets with Dynamic Edge from dhosting.com. The team at dhosting.com understands these problems and has leveraged its 12 years of experience to develop a modern solution for these traditional web hosting dilemmas. In March 2018, dhosting.com launched Dynamic Edge, a unique hosting product that can autoscale to meet user needs and budgets — handling short-term spikes and encouraging long-term growth. To manage web properties, dhosting.com users avail themselves of dPanel, an intuitive administrative panel that is built for all users — not just developers. And dPanel is mobile-friendly, which allows users to easily manage their accounts when they’re away from their desks. The company’s experts take charge of monitoring and maintaining the servers, freeing up users to focus on the practical aspects of their sites instead of having to worry about the technical side. This enables SMBs to employ resources traditionally restricted to enterprises with significant budgets. And dhosting.com built its solution on a redundant server system with all of its technology supplied by some of the best software and hardware providers in the industry — including Cisco, Microsoft, Hewlett-Packard, and IBM. The company bills clients hourly for any extra services and dPanel provides detailed reports and predictions, allowing tighter control over spending and resource allocation. Independent and redundant computing clusters located in a tier-3 datacenter, carrier-grade internet links for data transfer, and multiple power sources per server rack all work to prevent downtime and keep sites accessible. That approach puts control in the hands of ecommerce entrepreneurs and works to shift the hosting industry’s status quo in the client’s favor. Customers can enable autoscaling in dPanel, and it allows for automatic increases and decreases to CPU, RAM, and SSD resources in real time depending on a site’s needs. And users pay only for the resources they use beyond their basic allotment. Resource usage parameters are adjusted dynamically without the need for user intervention. Users can avail themselves of autoscaling in three ways. The first is by setting an expenditure limit according to daily, weekly, or monthly resource budgets. Alternatively, they can set a resource limit and pay only for the actual usage beyond what’s included in the basic fee. Finally, users can select no limit, allowing their site to use all the resources necessary until they reach their ultimate budgetary limit. Dedicated servers can deal with spikes in traffic but aren’t cost-effective for many SMBs. Whatever caps users set for themselves, those will be the only restrictions they encounter with dhosting.com. Traditional limitations — such as the number of PHP loops and connections — are replaced by the three fundamental Dynamic Edge parameters: CPU, RAM, and SSD usage. Users load money into their Autoscaling Balance to allocate funds as needed. Fees for additional resources used are charged for each hour started, and users can see rates and detailed reports in dPanel. Prospective users can visit dhosting.com’s price calculator to get an idea of the fees they can expect from autoscaling. With Dynamic Edge’s autoscaling feature, service parameters are dynamically increased and decreased according to need, and users pay only for the resources used. This presents a distinct financial benefit over traditional hosting methods. 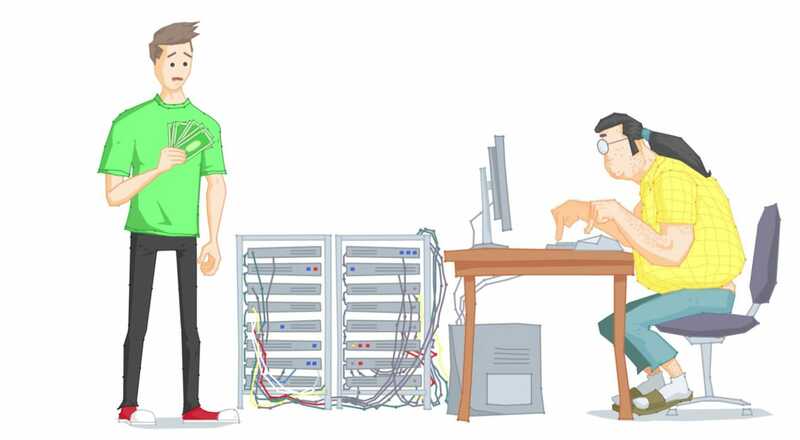 For example, shared servers impose resource limits at the outset, allowing the service to accommodate the needs of multiple simultaneously hosted sites. This situation restricts further development on the client’s part, and getting past these limitations has traditionally meant clients must switch over to VPS or a dedicated server. VPS and dedicated servers function similarly, with the major difference being that a VPS is software-based while dedicated servers are hardware-based. VPS providers can adjust resources at a user’s request, but this involves restarting the servers. As a result of this additional labor, the customer often incurs higher fees. If the user decides to go the route of purchasing dedicated server space, the hardware’s capabilities may still limit resources. Hardware augmentations or reconfiguration must be conducted by an expert technician, incurring additional cost to the user. To circumvent the issues inherent in traditional hosting services, Dynamic Edge combines features of cloud hosting and VPS to power its autoscaling. It manages and changes resource allotments on the fly — without the need to make substantial changes in service — which means that users can meet immediate demand needs without any hassle. Combined with dPanel’s convenient reports and forecasts, site runners can make educated and economical resource allotment decisions while saving valuable time and effort. The basic Dynamic Edge plan costs less than $200 per year, and users receive 1GHz CPU, 1GB RAM, and 50GB of SSD space. These parameters meet the needs of many users, so they can leave autoscaling deactivated in dPanel. But, if the need for additional resources arises, autoscaling can be activated at the click of a button. Once this feature is turned on, resources available to users increases to 24GHz CPU, 64GB of RAM, and 1000GB of SSD space. Along with basic service and an autoscaling option, dhosting.com subscribers enjoy a number of other benefits, including a fast connection, unlimited email addresses, MySQL databases, domains, and bandwidth. With Dynamic Edge, servers adjust to client traffic and only charge for the time extra resources are allocated. Businesses will also enjoy 24/7 administrative support and Litespeed web acceleration, which can help allocate resources during a traffic spike. And dhosting.com imposes no restrictions on the number of files stored, database size and queries, email storage and sending, or PHP processes. Client sites are backed up daily — or at the customer’s request — and are stored for three days. Additionally, Dynamic Edge sites use Let’s Encrypt, which automatically installs the latest SSL certificate for domains at no additional cost; SNI, an extension that allows multiple SSL certificate installations on the same IP address and TCP Port; and the widely-used content delivery network Cloudflare, ensuring premium site performance. For users who have experienced the problems inherent in shared, dedicated, and virtual private servers in the past and are looking for an efficient and affordable change, dhosting.com’s Dynamic Edge presents an innovative solution that is both cost- and labor-effective. Interested users can even preview estimated hosting costs to evaluate their savings. It offers a free 14-day trial for those who want to test Dynamic Edge without committing to a full year. Users who opt for the special trial, called Dynamic Edge with Resource Calculation, get additional perks. With this, users can upload their site, set their domain, and watch the hosting process unfold. The company checks the site’s resource requirements, and within four days, sends two resource usage reports and price offers. Users who want to continue with the service can choose from one-, three-, or six-month plans in addition to the basic annual subscription. 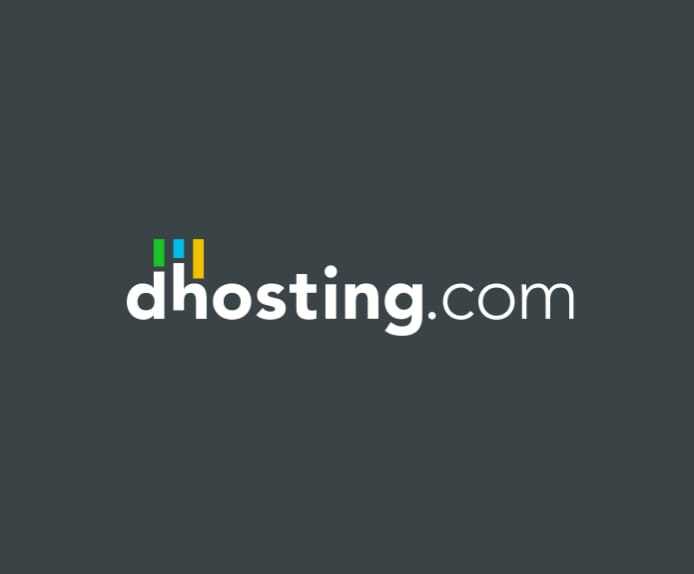 In 2019 and beyond, dhosting.com plans to increase its publicity and marketing efforts to tout its advantages over traditional services. 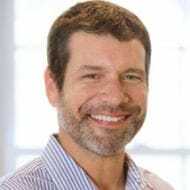 “We think if we can show these people that our product works much better, then we can serve more websites on the market,” Raphael said.